ASX pot-stock, MGC Pharmaceuticals (ASX:MXC), today revealed it has been awarded a contract by the Maltese government to construct a state-of-the-art medical cannabis production and cultivation facility spanning 4,000 square metres. Following a competitive tender, MXC has emerged as one of only five companies — and the only one from Australia — to be awarded a full medical cannabis production and cultivation contract. Having recently raised A$5 million (before costs) via a share placement to sophisticated and professional investors of 7 cents per share, MXC is nicely positioned to establish the production facility in accordance with the new contract. This is a pivotal milestone for MXC, and comes on the heels of another high-impact announcement: MXC’s production of the first batch of CannEpilTM, following the receipt of its interim Good Manufacturing Practice (GMP) certification. Under the agreement, MXC will be able to produce all THC (tetrahydrocannabinol) and CBD (cannabidiol) strains of medical cannabis at the facility. This expands MXC’s commercial opportunity to develop additional medical cannabis pharmaceutical products into key European and global markets, which derive benefits from both THC and CBD. Pot produced at the facility will be used in the production of MXC’s Good Manufacturing Practice (GMP)-grade pharmaceutical products for major global markets including Australia, and will enable the supply of medical cannabis flowers directly into the emerging European markets, including Germany. Securing this contract will complete MXC’s strategic plan to establish a fully vertically integrated medical cannabis ‘seed to sale’ operation in the European Union. MXC will be required to comply with its licences and permits to operate the facility, including employing 25 Maltese people as part of the local workforce. Malta is now in the final stages of legislative change with regard to medical cannabis laws. These changes will not only allow companies to produce medicinal cannabis in Malta, but also to export the medicine to other European countries where it is legal. MXC is also set to tap a buzzing market with this deftly engineered deal. According to the European Cannabis Report 2017, with a market of over 739 million people, and total healthcare spend of €1.49 trillion, Europe will be the largest medical cannabis market in the world. The estimated cannabis market value per year in the EU is €56.2 billion. However, how much of the market MXC is able to corner is speculative at this stage and, therefore, investors shouldn’t act on this fact alone, but should take all publicly available information into account and seek professional financial advice. MGC Pharmaceuticals co-founder and CEO, Roby Zomer, said: “This contract provides MXC with an attractive new cultivation site in the European Union, completing the board’s strategy to operate a full vertically-integrated medical cannabis operation in Europe. 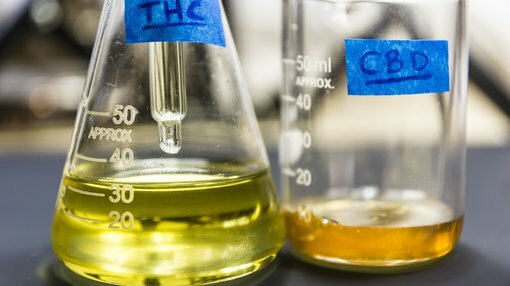 “Excitingly, with any CBD and THC strains of medical cannabis permitted under the agreement, we are now able to develop additional pharmaceutical products, which use the benefits of both CBD and THC. “In addition to being used in the production of MXC’s GMP-certified pharmaceutical products, this contract extends the medical cannabis market for MXC into the supply of medical cannabis flowers to emerging European markets, including Germany,” added Zomer. This latest development has seen share price highs this morning for MXC, currently sitting at 8.4 cents.